 Conway Medical Center’s Critical Care Unit provides comprehensive and continuous care for critically-ill individuals as well as social and psychological support for patients and their families. Our Critical Care team includes physicians, nurses and other specialists who are specially trained in critical care. Our CCU serves the critically ill who have cardiac, pulmonary, neurologic, gastrointestinal and endocrine conditions. With completion of the new Patient Tower, the Critical Care Unit (CCU) is located on the 3rd floor of the tower and has 24 large, private patient rooms which are fully equipped with the latest monitoring capabilities including, state-of–the-art medication dispensing technologies, electronic charting and special amenities for the patient and the family. Each room has a large family zone with Wi-Fi capabilities. The medical equipment is housed on ceiling mounted booms to allow for rapid movement of the equipment or the patient. This allows it to be less disruptive in the floor space area of the room. The critical care unit has large, sun-lit family lounges and each patient room has a large window to provide comforting scenery to the patient and reduce the disorientation that patient’s often experience while in a critical area. Please check in at the nurses’ desk for a pass. Only one family member may stay with the patient overnight. Family members are asked to designate a family spokesperson to minimize care interruption. Family members may call the CCU at 843-347-8010 for updates on their loved ones or for any special needs regarding visitation. Please do not call during shift change at 7:00 am – 7:30 am and 7:00 pm – 7:30 pm. Flowers (for infection control measures) and latex balloons (due to latex allergies) are not allowed on this unit. Children under the age of 12 are not permitted in the CCU, unless there is an exceptional circumstance and the Charge Nurse has given permission for such.